adamK is a past client who now works for Dr. Armani as a patient consultant in California. He did a FUSS (strip) about 5 years ago and 11 days go, he went for a FUE with Dr. Armani. Swelling went away after a few days, almost all of the scabs are gone, the donor FUE area was invisible after 7 days of growth. 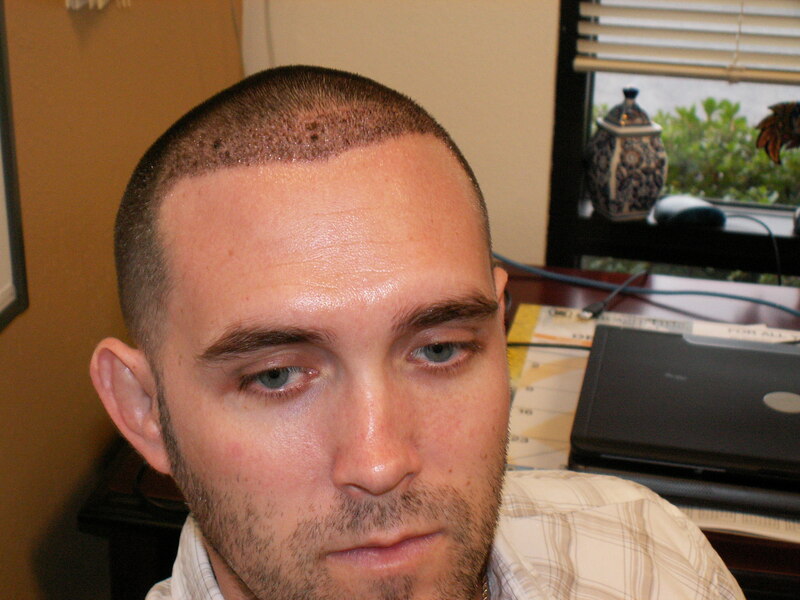 This picture is about 5 years old and shows the beginnings of adamK’s HT growth and where the new hairline will eventually be. 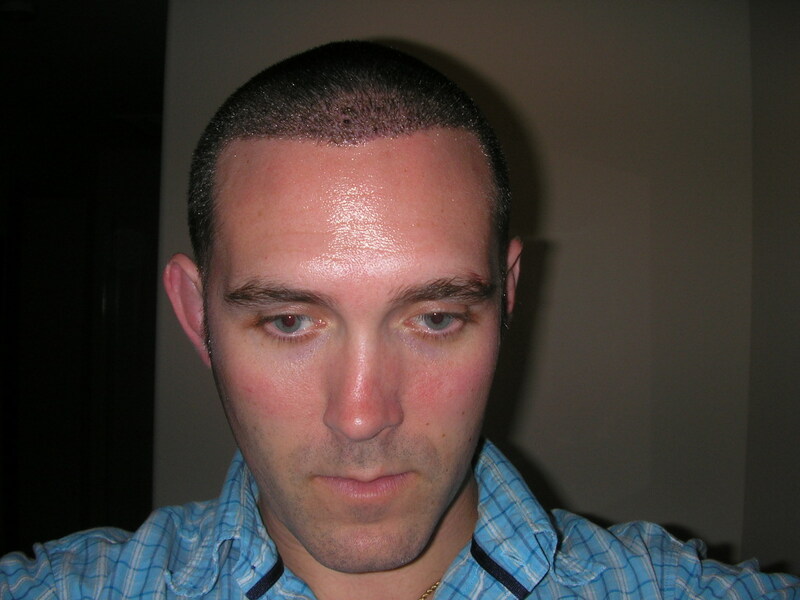 He had receded at the front hairline and both temple areas. So how many grafts total do you have in the first two inches of your hairline? Why did you need a second ht for the hairline? What were the graft counts of the two ht’s? How many grafts do you have left? » Why did you need a second ht for the hairline? » What were the graft counts of the two ht’s? 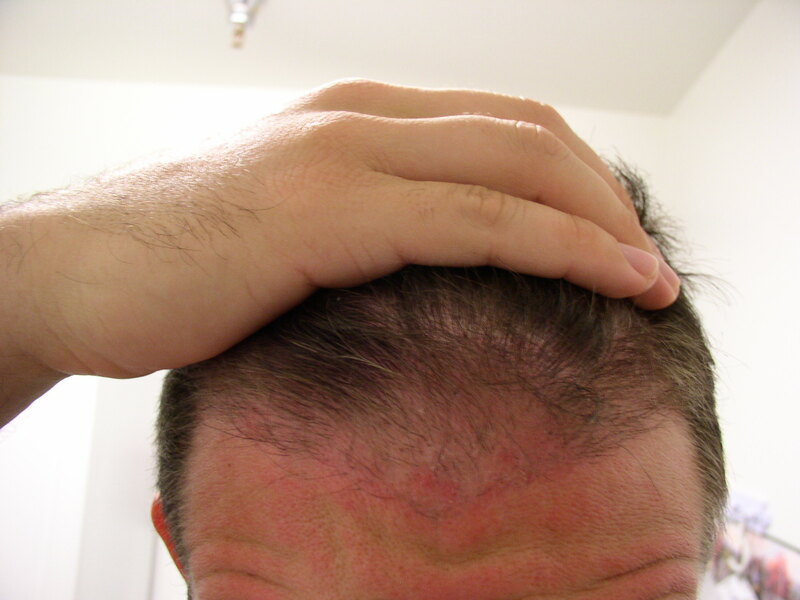 » How many grafts do you have left? Im sure it will be a great result. Lots of growth to come. I might be wrong … but I think this proves my case. 5 years down the line and the guy needs more work done on him (just supposing here). » and the guy needs more work done on him (just supposing here). Why dont you call the office and see if you can get a cancellation date. » » and the guy needs more work done on him (just supposing here). » » is only 12 days post op the look of his HT is extremely clean and tidy. » Why dont you call the office and see if you can get a cancellation date. » » » and the guy needs more work done on him (just supposing here). like if someone cancels on short notice and they want to fill the day quickly then sometimes they give a better price. I get it now, I wasn’t aware of that. Trust me If I could afford Armani’s prices he would be my first choice. I have 15000 euros at my disposal and I’m a norwood 5/6 looking for at least 4000 grafts. I’m not sure I would be able to get a great deal with this kind of limited resources. As far as easthetic results are concerned Armani is always in pole position. However when you compare his prices with Dr Arvind’s prices the difference is huge, verging on the embarassing. » I’m a norwood 5/6 looking for at least 4000 grafts. » is huge, verging on the embarassing. I think he also offers some sort of package for over seas patients. Call his office. Trust me dont let price or location determine where you get you HT, you will regret it. The problem dear jhonny is that 15.000 euros is all i’ve got. Sometimes your decisions are,despite yourself, heavily influenced by your financial situation. Sad but true. One more thing… rumours has it that Dr Armani charges different prices when he is the the one to operate. Is this true? just curious. I wanted to clear up a few things that people have emailed me on. 1st, I didn’t need the FUE. 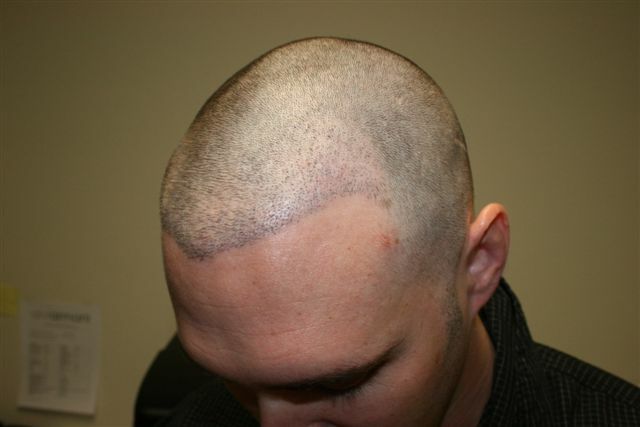 I will post some pics of myself the morning of my surgery right after they shaved my head (yes, all patients must shave their head for the procedure). You can see that I had great results from my FUSS procedure. Now that I work for Dr.Armani he felt that it was important for me to experience the FUE procedure myself so that I can speak intelligently about it to clients. 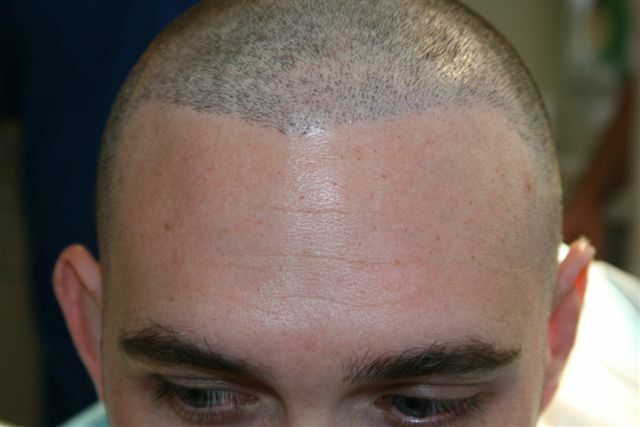 The end result for me will be an ultra-high density hairline with aprox 4,500 grafts. Then there comes the argument of "what happens in 10 years when he starts losing hair again." I was losing hair at a pretty steady and solid rate until I had my HT. 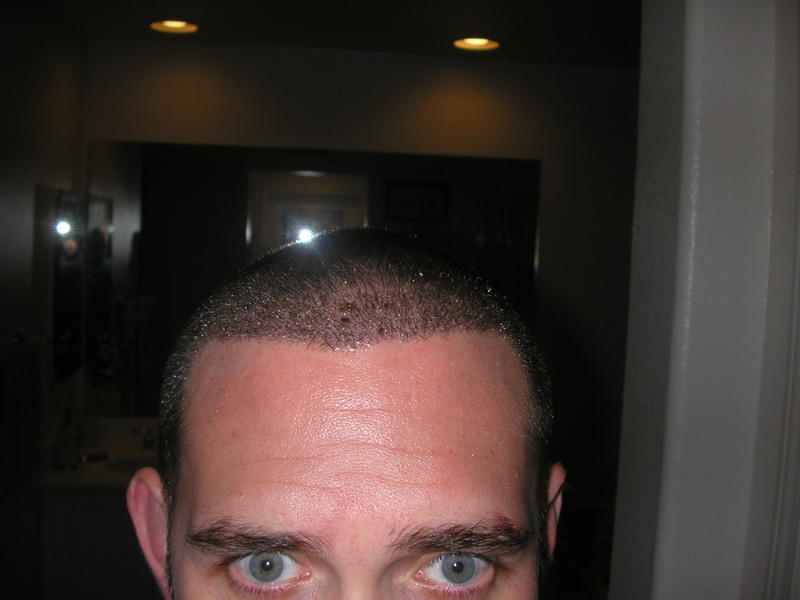 From that time on I have been taking proscar and rogaine every day of my life. 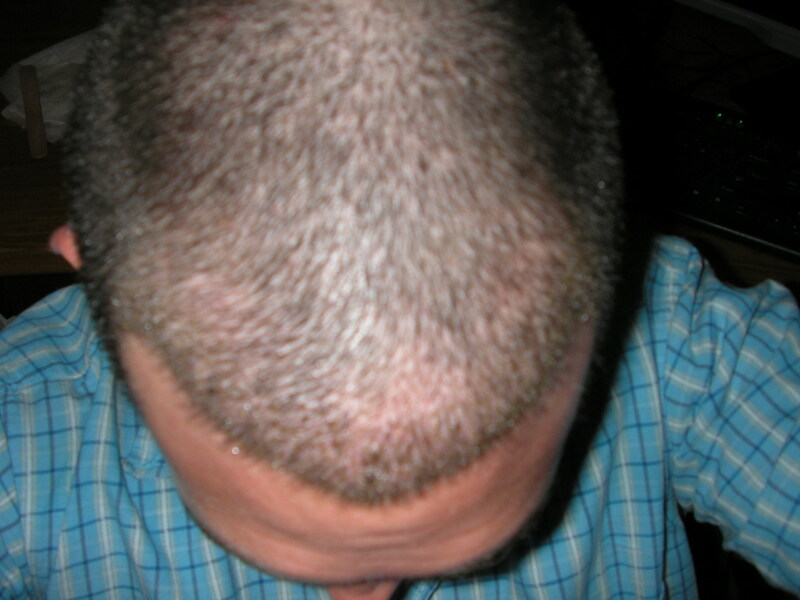 When I shaved my head for the FUE, I could tell that those meds had completely stopped my hair loss. I’ve made the long term commitment to take those meds to maintain the hair that I have, and for me its worked. 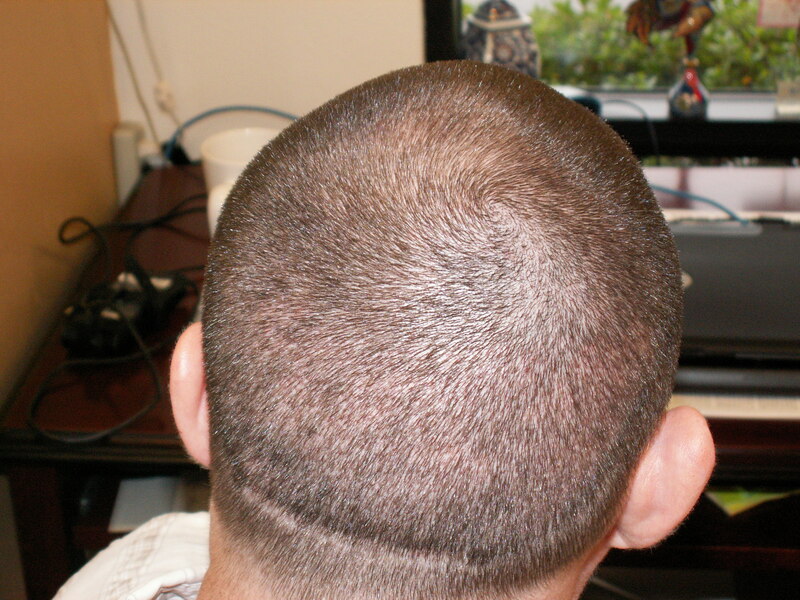 Men on both sides of my family have balding patterns that I was following. If I continued on without meds, I would be mostly bald by now, for sure in another 3-5 years. Worst case scenario, if the meds stop working for some reason and I lose more hair later down the road I could always have the option of another HT. 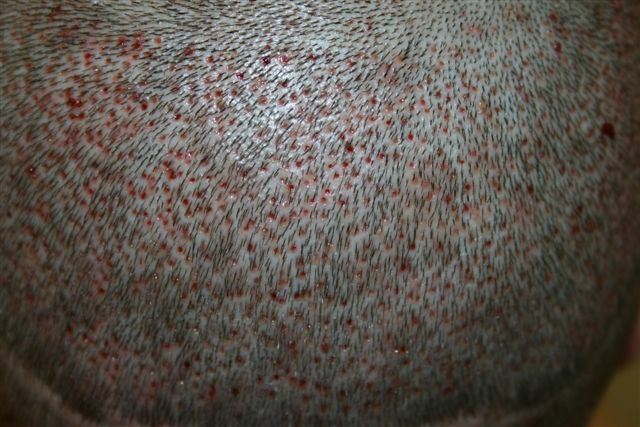 Everyone can plainly see from my pics that I have plenty of donor hair left and that’s one of the great things about the FUE process, it allows for much more donor hair vs. the FUSS method. Here I am 10 minutes before starting on my FUE procedure. Maybe I missed that, it just says 3000 strip but how many grafts FUE did he have?